I always pack some business cards when I go to an audio show. If an exhibit is extraordinary, the manufacturer and I exchange cards and a review is arranged. I arrived in Chicago and realized that I had taken along only twelve cards. 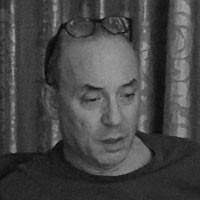 I shook my head: what if every display at AXPONA was worth a review? My first reconnaissance around the Renaissance Schaumburg Hotel was not promising. There were lots of speakers with ribbon tweeters, almost none of which were matched with the cone drivers in the same cabinet. I visited three highest-end, top-tier displays. These included loudspeakers which always receive glowing reviews in the glossy print magazines. Each system cost over a million dollars, and each was a disappointment. The difference between my expectations of sonic perfection and the dismal reality was so great that I wondered if I had brought too many business cards. Matters were no better in the affordable rooms. I was surprised and dismayed that the displays didn’t sound better than they did in 1985. In fact, they didn’t sound as good. The only advance I could discern was that the prices were a lot higher. As I propelled myself from room to room, my mind wandered. Could I have assembled a better system thirty years ago? The Quad 63 was available, as were Audio Research and Levinson electronics. Linn turntables were around. Dynaco and Dahlquist were both open for business. My phone rang. Joe Jurzec, who knows everyone in this business and whose ears don’t lie, suggested that I visit him in the Toska Audio room. 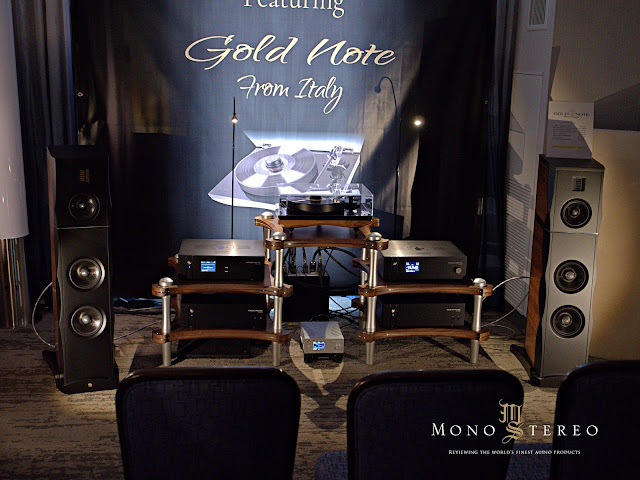 Toska (www.toskaaudio.com) was showing a complete line of Gold Note (www.goldnote.it) products. By complete, I mean everything – from turntable, tonearm and cartridge, to phono stage, preamp and amplifier, to loudspeakers. Even the wires come from Gold Note’s factory in Florence, Italy. The sound on Saturday was good, even in the small, acoustically challenged hotel room, and great on Sunday when the equipment had warmed up. Although the Gold Note sounds good and has the tasteful appearance we associate with Italian design, it was quite reasonably priced. Peter Mulligan, who operates Toska, mentioned that he was using a $1,200 cartridge. There’s another, more expensive, model. I thought the cheap version was very good, so I’m pretty curious about the next step up. Gold Note also manufactures two limited edition turntables and a limited edition CD player. From my time with the standard system, I predict that these will sound fabulous but not cost as much as state of the art equipment often does. Next door was Daedalus Audio, showing its new Apollo 11 loudspeaker with Linear Tube Audio amplification, Lampizator digital and Skogrand cable. I think reviewers would describe the sound on Saturday as “promising,” a polite way of saying that it wasn’t bad, but nowhere nearly as good as the prices would require, and not close to the Gold Note system. The following day, equipment had been sorted out, and the display was everything you’d want: dynamic, engagingly musical. But it was large, and I wanted something modest. Ever get exhausted from eight-foot-tall, fifteen driver speakers that cost a quarter million dollars? I found the ideal solution. Stereo Haven (www.stereohaven.com) had a Well Tempered Simplex Mk. 2 turntable and arm ($1,995) with a Well Tempered Kauria moving coil cartridge ($2,000) (www.welltemperedlab.net) feeding a Line Magnetic LP33 phono stage ($1,995), a Line Magnetic LM 508 tube integrated (805 tubes; $4,995) (www.toneimports.com) and ending in Falcon Acoustics LS3/5A speakers ($2,995) (www.falconacoustics.co.uk). It was relaxed, musical, entertaining and didn’t take up a hotel ballroom. If you have a large record collection and a small room, you could buy this system and be done with the neurotic excesses of high fidelity. The equipment – and prices – of 1985 never went away. You just have to search for them. I continued on my hunt for high fidelity gear that sounded terrific but didn’t cost a fortune and found the Sonoma headphones (www.sonomaacoustics.com). 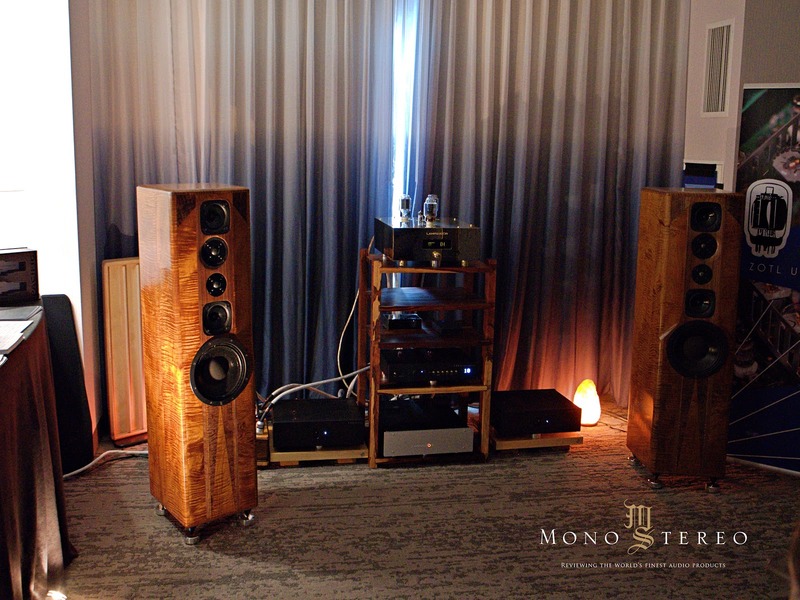 For $5,500, you get a pair of electrostatic headphones, an amp and a DAC. How good were the headphones? In the bustling show environment, I can only say that they were very, very good. Are they as good as much more expensive units? I suspect they’re competitive. I know they’re very comfortable and highly revealing. On my second day of haunting the hotel’s halls, I realized that I had not seen a single CD player, only lots of servers and lots of iPads and laptops. There were a substantial number of turntables, many of them huge and rather military-looking. I suspect that the CD player is a dying breed. Computers will provide most of our music, and a few turntables, most of them expensive, will remain in service. 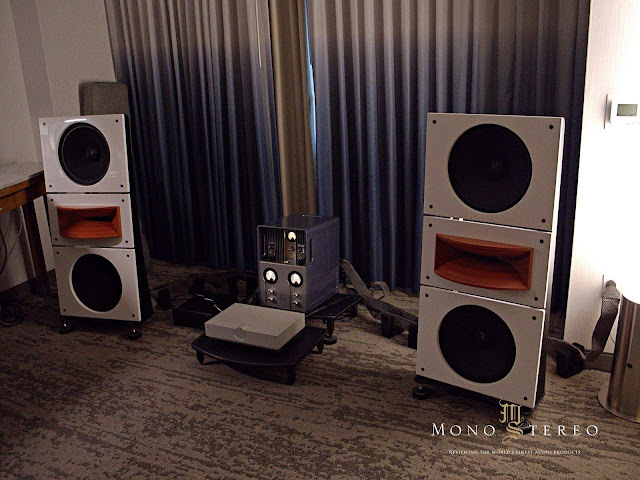 Once again, I was grateful for the sleek Gold Note Mediterraneo and the intelligently designed Well Tempered units, both of which were pleasing to behold and priced within the reach of mortals. I saw the Wells Audio Innamorata Signature amplifier ($15,000) (www.wellsaudio.com) in two rooms. Salk Sound (salksound.com) used it, and so did Gingko (www.ginkgoaudio.com). The Salks probably needed a little longer to break in, but they tied the Daedalus speakers for gorgeous cabinets. If you love spectaular woodworking, Salk should be on your list. The Gingko ClaraVu Mk 3 were less flashy, with a MTM top element above a powered woofer. The common factor was the amplifier. The Wells did so many things right, and imposed so little of its opinion on the sound, that I had to get a review sample. As luck would have it, and through the intercession of Joe Jurzec, amp and preamp are sitting in my main system now. My initial impression is that they’re extraordinary. After the traditional box speaker designs, I was surprised by the PureAudio (pureaudioproject.com), a speaker system configured to the buyer’s taste. The display version had two open baffle woofers and a horn tweeter, but you can have more or fewer woofers and different kinds of tweeters. The speakers were dynamic, detailed and fun to listen to. Power was supplied by Whammerdyne (whammerdyne.com). I’ve heard some difference of opinion on the 2A3 output tube before: some say it’s wonderful, while others are less enthusiastic. Unfortunately, such a discussion was being conducted as I was trying to listen to the speakers and amplifier. Suffice for now to say that I listen to music, not technical arguments, and I was very impressed. I had enjoyed the show, but was ready to leave by early Sunday afternoon. I tried one last room. Playback Designs MPD-8 Dream DAC ($22,000) (playbackdesigns.com) was sharing space with YG-Acoustics Carmel speakers ($24,300) (www.yg-acoustics.com) and Kubala-Sosna (www.kscables.com) Since I had been disappointed with famous, expensive displays at the beginning of the show, I wasn’t sure what to expect. What I heard was extraordinary. The system made virtually every other room sound slightly sluggish, gently indistinct, and mildly colored. It was highly detailed but clear and musically engaging. This was the display that convinced me that we have made progress since the mid-1980s. If this is the future, I’m all ears.